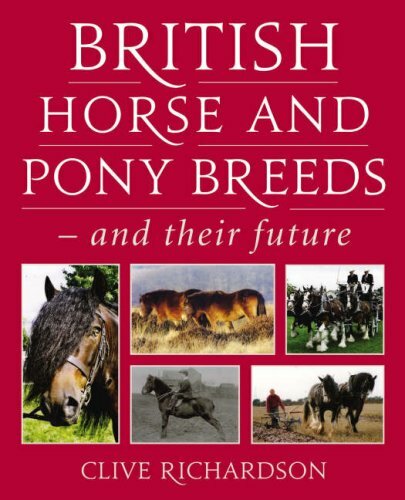 The British Isles is home to a number of pony breeds. These are collectively known as the mountain and moorland breeds with each breed being endemic to its own area. Traditionally, mountain and moorland ponies are those that belong to any one of nine well-established breeds with the Eriskay and Kerry Bog pony being added more recently. The Galloway was once one of the group but is now classed as extinct. These breeds have adapted over the centuries to the particular conditions of their region. While travel and transport methods remained primitive there was little interchange between the breeds. The animals evolved with characteristics which ensured their survival in their local region. Later breeds were ‘improved’ in an attempt to develop certain traits which were deemed desirable. Over time, with the improvement of livestock management and husbandry methods, the special attributes of a breed became somewhat less important. A few breeds became extinct and others are still battling to hold their place. Over more recent times, the value of retaining all breeds is being recognised and hopefully it is not too late to save what is left of these so-called ‘heritage’ breeds. and how best they can be preserved. Most of Britain’s mountain and moorland ponies are now found in significant numbers in other countries. A few, such as the Galloway, are believed to be extinct. Others, such as the Kerry Bog pony and the Eriskay, are believed to be close to extinction. The mountain and moorland breeds are the Connemara, Shetland, Welsh, Exmoor, Dartmoor, Dales, Fell, Highland, and New Forest. The two relative new-comers include the Eriskay and the Kerry bog pony. 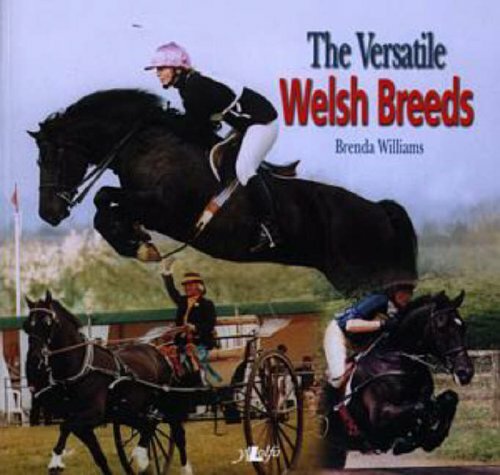 Included under the Welsh umbrella are four recognised types: the Welsh Mountain Section A, Welsh Section B, Welsh Cob Section C and Welsh Cob Section D.
The group is often divided into ‘small breeds’ and ‘large breeds’. The small breeds include the Shetland, Exmoor, Dartmoor, Welsh Mountain Section A and Welsh Section B, the Eriskay and the Kerry bog pony while the rest are regarded as larger breeds. advice on breeding and showing. Each of the breeds has evolved in a distinct area. Generally grazing has been limited and conditions harsh. This has led to hardy ponies able to survive in a tough environment but prone to obesity and associated problems if allowed free access to more lush pastures. Several of the breeds still live in a semi-feral state on unenclosed common land. Local citizens have grazing rights to these areas and may run cattle or ponies. Breeds kept in this way include the New Forest, Welsh, Exmoor and Dartmoor. Often the mares roam the moors, living in small groups consisting of an older mare, several of her daughters and their offspring. Limited numbers of stallions are released onto the moors in spring or early summer. Each stallion collects a group of twenty or so ponies. In autumn, the animals are mustered and penned. The colts and some of the fillies are removed and eventually sold. Any fillies that are kept as brood mares will be branded to show ownership. Typically, these ponies are stocky and tough. They usually have profuse manes and tails which help keep the bitter elements at bay. Shetlands range from 7 hands to 11.2 hands (a hand is 4 inches) while the larger ponies or small horses may be slightly over 14 hands. Some breeds are restricted to only a few colours while others vary over a wide range of colours. Only the Shetland has piebald and skewbald colouring. The Shetland pony (above) originated in the Shetland Isles. These islands, off the northern tip of Scotland, are inhospitable and the ponies often eat seaweed to supplement the meagre grass available. This accounts for their small size and their hardiness. The Exmoor pony (above) is found in south-west England on the moors (Exmoor) of Somerset and Devon. Similarly the Dartmoor is endemic to Dartmoor in Devon. Obviously Wales is home to the four Welsh types. County Galway in western Ireland is home to the Connemara while the Kerry Bog pony comes from south-west Ireland. The Connemara has a fine reputation as a jumper and is a tough, versatile pony. Arab and Thoroughbred blood was introduced in the 1700s. Later, Welsh Cob stallions were also used to try to improve the native ponies. Today the Connemara is well established with exports being made to various countries. The Fell pony comes from Cumbria in north-west England and the Dales from the eastern Pennines of northern England. Both the Fell and Dales were used as pack ponies in years gone by and are strong, tough ponies with an eye-catching trot. The New Forest frequents the New Forest National Park in the south-west of England. While a recognised British breed, the bloodlines of the New Forest include many outside breeds. Welsh, Thoroughbred, Arab and Hackney blood were all introduced either as specific attempts to improve the breed or as part and parcel of life in the Forest. More recently, specific improvements have been attempted with the introduction of Fell, Dales, Highland, Dartmoor and Exmoor blood. The Highland pony (above) is the largest of Britain’s mountain and moorland breeds with an upper limit of 14.2hh. It has its origins in the Scottish highlands and the Western Isles off the coast of Scotland. It is extremely strong and sturdy and is used for draught work, shepherding, as a pack horse and for ridden and driven disciplines. The Eriskay pony takes its name from the island of Eriskay in the Hebrides. It developed in ancient times in the Hebridean islands and, due to the remoteness of the islands, a small population remained pure. Its status today is considered as critical. Each of the mountain and moorland breeds has its own unique characteristics. It is to be hoped that they are all around for many years to come.